Launch days are always an interesting mix of a sense accomplishment and a realization that the work has really just begun, and this one was no different. The majority of our team was back in Calabasas making sure the rollout went smoothly, but a few of us were on the ground in San Francisco. 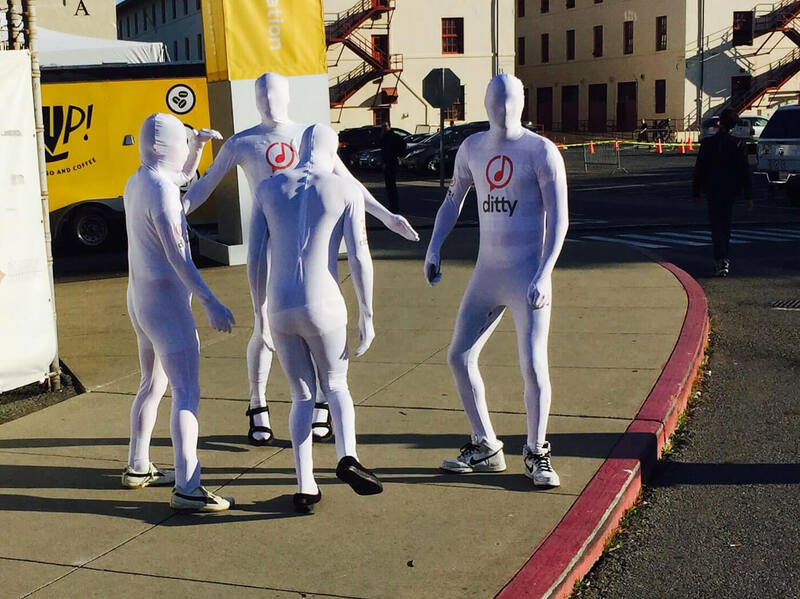 We thought there was no better way to celebrate launch than by having a morphsuited Ditty team greet everyone as they arrived at F8. We all anxiously awaited the announcement of the Messenger Platform during the kickoff Keynote of F8. We listened Zuckerberg share some astonishing stats....600 million people use Messenger! Then it happened. The Messenger Platform was announced and Ditty was on the big screen. And, in prime location! It was time. We could release Ditty across the App Store and Google Play. As we deployed, we were delighted to see the amount of press coverage for Ditty that came pouring in (check out our News page). After the Keynote, Facebook opened a Messenger booth where people could come experience Ditty and the other apps on the platform. As we watched people try Ditty for the first time, we were also able to meet more of the team at Facebook responsible for launching the Messenger Platform. 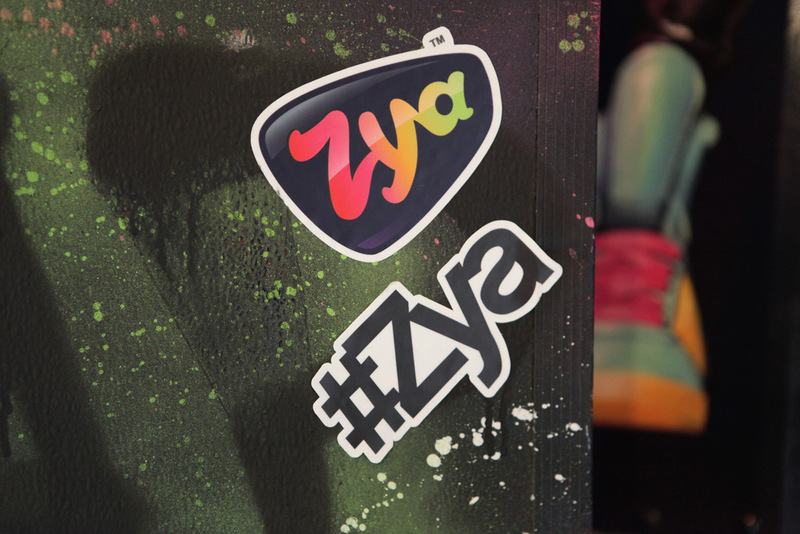 To our surprise, Mark Zuckerberg stopped by the booth and we got a chance to meet him and show him the app. What a celebratory way to make my first live Ditty! The rest of our day we did our best to juggle all the work we had to support launch and attend F8 sessions to get new insights on all the Facebook experiences. Not to mention trying to keep our phones charged. During the 3pm Messenger session we made sure to be in the front row when Seth Rosenberg shared a ditty with the audience. Did he just ask his girlfriend to visit him to the tune of "Hickory Dickory Dock"? He did. The conference wrapped with a surprise performance from Deadmau5 and then an offsite party for all the Messenger Platform partners. Of course, we made sure the morphsuit team greeted everyone at the party. This time with giant Ditty balloons. Truly a great launch day for our team. Let us know if you want a Ditty balloon. (We only have miniature versions left).